A boutique dental clinic specialized in cosmetic and restorative dentistry in the paradise town of Puerto Vallarta, on Mexico’s Pacific coast. At PV Smile, we only receive a limited number of patients to ensure the quality of our attention. We work hard to provide a comfortable dental treatment, the reassurance of the best and most current quality standards and technologies, the advantage of medical-tourism prices and the bonus of a wonderful time at one of the friendliest destinations in Mexico. 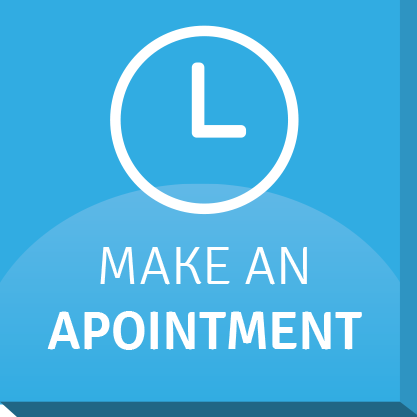 Dr. Noel Rivas and his team will listen to your every need and provide you with the most suitable treatment to give you a perfect smile that will last for decades. His continuing education schedule comprises courses, seminars and congresses in Mexico and abroad. He combines the abilities of a restorative dentist with the artistic sensibility of a cosmetic dentist, which allows him to provide you with the best functional and aesthetic results. He takes pride offering the finest care and service to each and every patient. He graduated in 1976 from the private university that trains more American health practitioners in Mexico, and brings more than 35 years of experience to the international community since he serves citizens from the five continents. He practiced in his hometown until 2004 when he moved to Puerto Vallarta and founded PV Smile. He is member of some of the most prestigious professional associations in the world, including the American Association of Cosmetic Dentistry and the European Society of Cosmetic Dentistry. Hi! We are Marisol, Mario, Noel, Alhelí and Karla. We work together, as a team, to provide the best dental care for you, from making you comfortable the minute you arrive to our office, to producing the pieces needed in our state of the art dental laboratory. PV Smile specializes in cosmetic and restorative dentistry. Request an appointment with Dr. Rivas and find out what this dentist in Puerto Vallarta can do for you! "My experience with Dr. Rivas was absolutely incredible! I came to his office to get a frontal bridge both upper and lower. I had some of the prep work done years earlier but I did not return to my local dentist because I have always been scared of the dentist, and because of money. He always answered my questions in a timely manner. The receptionist was sweet and professional. The office was spotlessly clean from the reception area to the examining room. Dr. Rivas was never rude or condescending about the state of my teeth. He just made a nice professional review and some recommendations. I am so happy with my teeth and smile I cannot thank Dr. Rivas and his staff enough. You changed my life. Thank-you so much!" “I have lived in Puerto Vallarta for several years now, and took my time investigating all dental options here before choosing Dr. Rivas. His attention to detail and listening to what the patient wants set him above all the others. “I've been searching for a great dentist since moving to Mexico from Vancouver, Canada, five years ago. I'm so happy to have been recommended to Dr. Rivas. His office is immaculate and professional and his equipment and skills are state-of-the-art. FROM NORTH: Take Francisco Medina Ascencio Avenue south bound towards downtown. Passing the maritime terminal take the lateral lane and at the junction of Fluvial Avenue turn left. Follow this Fluvial Avenue and look for the OXXO convenience store and Pancho Villa's Burgers restaurant. Turn right at that corner on Venecia street. Look for number 290 on the left side of the street, a block and a half ahead. FROM SOUTH: Take Medina Ascencio Avenue towards the airport. Turn right at Francia street (there is the HSBC bank in that corner). Follow Francia street up to Rio Amarillo street, one block before reaching Fluvial Avenue. Turn left on Rio Amarillo up to Venecia street. Turn left again at Venecia and half block ahead you'll find number 290 on your left side. You will receive our answer in under 24 hours.